The Magna Plaza is an amazing19th century building designed in a rather glamorous Neo Gothic style and remains one of the most beautiful constructions in the city. Inside you will find multiple levels rising upwards sporting pretty archways built around a central foyer. In the centre a grand piano is often played to entertain you during your shopping experience. More of a shopping mall than a department store, you will find yourself darting in and out of stores and up and down escalators in search of all your favourite designers. You are likely to be exhausted if you venture into every shop in the complex so head down to the Italian style brasserie Ovidius which is located on the ground floor or the Italian coffee bar Ristretto on the top floor in search of much deserved refreshments. Magna Plaza, Address: Nieuwezijds Voorburgwal 182. 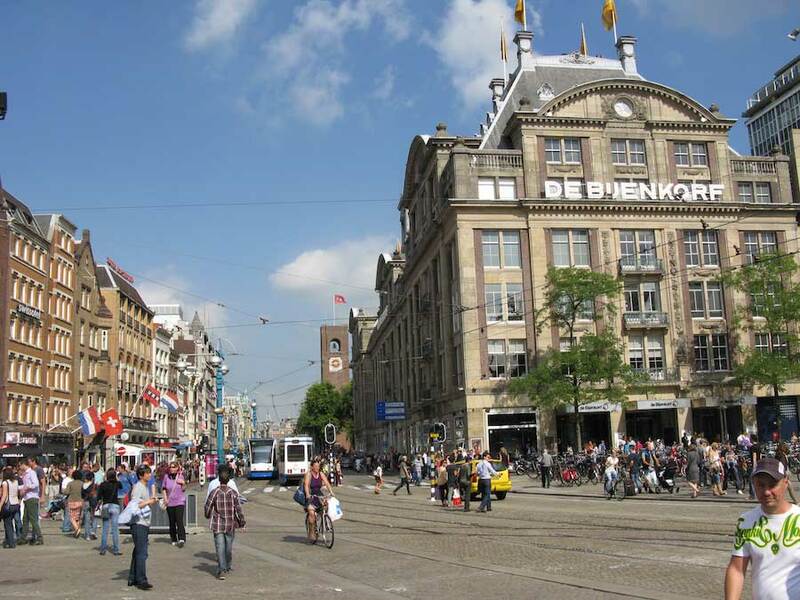 For more information on where to shop in Amsterdam, as well as detailed descriptions of what’s on offer in each of Amsterdam’s many shopping districts check out NL Streets, an online Netherlands shopping compendium. For the tech-saavy, make sure to download their NL Streets app, to get on the go shopping advice and information. Check out their website. Note: This information was accurate at time of posting. Because things often change, we suggest that you confirm details directly with the location of interest. By James Fisher.